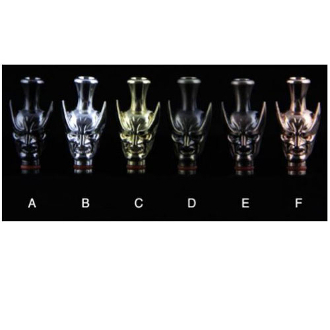 Our Batman Designer Drip Tip is the mouthpiece that Gotha- I mean vaping deserves! Prepare by practicing your lowest gruffest voice so that you and your electronic cigarette can imitate one of the greatest legends out there… no superpowers needed! Our new 510 drip tips are made out of stainless steel to protect against tarnishing and rust. They are a perfect way to customize your e cigarette to suite your personal style. They come in several colors, each a metallic and shiny eye catcher!